Reading and writing form the backbone to just about every other type of course, including math, science, and social studies. Without learning how to read, comprehend and express ideas, students cannot excel at any other subject, because fundamentally, the purpose of knowledge isn’t just to regurgitate information, it’s to assimilate that information, process it and express ideas based on that information. So the challenge teachers have is to find ways to help students learn principles of writing, how to review their work, edit that work and revise it until it represents the best-expressed version of their own ideas. Here are some methods that may be effective at achieving this goal. Active verbs make essays and term papers stand out because they make every sentence feel more urgent and smooth. When teachers read papers that lack active verbs, they often find that it’s difficult to make it through the paper without feeling bored, uninspired and underwhelmed. That’s because many student-written papers lack active verbs that make sentences feel more vibrant and interesting and help make a paper distinct. To help students with their active verbs, give them a paragraph filled with non-active verbs, and have them rewrite the paragraph. Before they begin, review the definition of an active verb so there is no confusion, but don’t provide any other type of assistance. For example, the sentence, “A heavy toll is exacted by the disease”, is filled with non-active verbs. Rewritten, it would read, “The disease exacts a heavy toll”, which is active, urgent and easier to read. Students often overwrite their essays in an effort to impress teachers and to show the extent of their vocabulary. You can give your students recommendations on how to improve vocabulary wisely. The best-written papers are ones that are short, concise and to the point. Papers filled with verbs, adjectives and flowery words are difficult to read, confusing and meandering. The goal of writing is to achieve clarity and to achieve it as quickly as possible. To help students, create a paragraph or sentences that are long and filled with unnecessary verbiage. Instruct students to revise the paragraph or sentences by cutting as many words as possible, while still retaining the meaning of each sentence. When students are forced to cut, they tend to hone in on the most important words in a sentence and eliminate words that don’t add meaning or context. Mark Twain, who had white hair, a mustache and smoked a pipe, was famous for his homespun wisdom, which he claimed he learned when he was a kid, and he actually grew up in poverty, but that didn’t really affect him becoming a great writer. Mark Twain was famous for his homespun wisdom. The rest of the sentence adds nothing to the main idea of the sentence, which is Twain’s wisdom. As students learn to cut, their papers will show improvement in clarity, style and structure. Students often mix up their subject and verb agreement when writing papers, which makes it difficult to achieve a smooth flow. Sentences such as “The goat and pig is outside” or “John and his brother is at the movies” can interrupt a reader’s flow and make a paper messy and hard to understand. Subject and verb agreement exercises are a series of sentences in which students choose what they think are the correct answers. For example, a sentence may read, “Every comic book in the library (is, are) great” and the student would circle ‘is’ or ‘are’ as the correct answer. Teachers can also conduct this exercise with an entire paragraph in which incorrect subject and verb agreements are sprinkled throughout, and students would have to detect these errors and correct them without any prompts. Although this may seem basic, there are many students even at the college level who need a refresher regarding subject and verb agreement, and firming up this skill will improve their essays. One thing to remember is that as students revise, they shouldn’t borrow ideas or words from other sources without proper attribution. 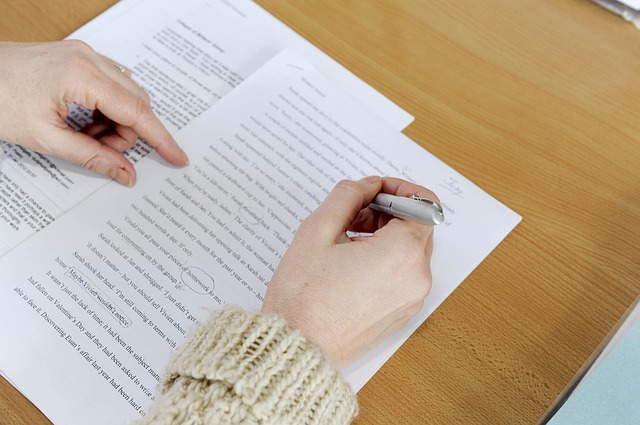 Teachers can utilize plagiarism checker to ensure that revised papers and essays are written in a student’s own words, and that all ideas are original.